All those peaceniks and bleeding-heart liberals spewing nonsense about ‘uninterrupted and uninterruptible’ dialogue with Pakistan should pause to ponder the futility of talking to someone who is unwilling and unready to resile an inch from its unacceptable and unreasonable stand, says Virendra Kapoor. Pakistan asked for it. It failed to appreciate fully the fact that we have a new government in place which has reason to assert itself on issues concerning national security and honour. By unheeding the unambiguous warning that the foreign secretary-level talks would be off should the Pakistan High Commissioner Abdul Basit meet, as planned, with the Kashmir separatists, it itself invited the rebuff. It has little reason to complain now. But, then, India had always looked the other way when the Pakistan high commissioner met the Hurriyat leaders on the eve of such talks in the past? Absolutely true, but you can’t deny the new Prime Minister Narendra Modi his right to try and change the terms of engagement with Pakistan. There again, if the talks with Pakistan always floundered without making any meaningful breakthrough, even if India large-heartedly allowed Islamabad to conspire with the Hurriyat nobodies, how wise was it to still go through the same motions with the same end-product, that is, failure and dejection? 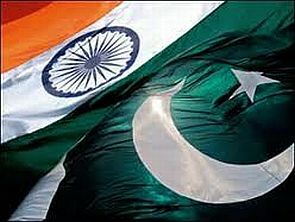 Unless Pakistan is able to demonstrate a wee bit of change in its ossified stand on issues that have bedeviled ties between the two neighbours since their inception as two separate countries, no purpose would be served by going round and round the same mulberry bush of talks and more talks. Pragmatists have reason to applaud the bold decision of the Modi government in view of the refusal of Islamabad to make even a minor concession for setting the right backdrop for talks. Foreign Secretary Sujatha Singh was scheduled to meet her Pakistani counterpart Aizaz Ahmad Chaudhary in Islamabad on August 25. It was Singh who phoned Basit on Monday morning, warning him that India would cancel the talks should he meet the Kashmiri separatist leaders. Basit met Hurriyat leader Shabir Shah on Monday, inviting India to cancel the talks. Two other Kashmiri separatist leaders met Basit a day later. The very fact that Pakistan is willing to jeopardise a peaceful dialogue with India for the sake of somehow keeping the separatist flame flickering in Kashmir underlines the futility of any engagement with it. Besides, it is a clear and open interference in the internal affairs of this country. All those peaceniks and bleeding-heart liberals spewing nonsense about ‘uninterrupted and uninterruptible’ dialogue with Pakistan should pause to ponder the futility of talking to someone who is unwilling and unready to resile an inch from its unacceptable and unreasonable stand on the accession of Kashmir to this country. That most of those shedding tears at the abrupt end to the dialogue process are members of the Congress party or its camp followers is not hard to understand. After all, Kashmir is a headache for India only because of the Himalayan blunders of Jawaharlal Nehru and his daughter Indira Gandhi, the former needlessly taking the Pakistani aggression in 1947 to the United Nations, and the latter failing to get a defeated and shattered Zulfiqar Bhutto to settle for the Line of Actual Control in J&K as the international border at Shimla after the 1971 war. The twin blunders of the father and daughter duo have left India with an avoidable problem, costing it hugely in men and material even as the world powers see us ambivalently as occupiers of a disputed land. But we are not occupiers. There is a firm document of accession which the Maharaja of Kashmir signed with India once the Pakistan forces under the garb of tribals attacked Kashmir in October 1947. It was again a monumental blunder of Nehru that just when the Indian Army was ready to reclaim the entire Kashmir from the Pakistani marauders, he abruptly ordered a cease-fire, leaving over one-third of the valley with Pakistan. Then again, while Pakistan took little time to change the demographic profile of the occupied Kashmir, settling ex-soldiers and others in PoK, Nehru’s woolly-headedness ensured that no non-Kashmiri Indian could own land or adopt Kashmir as his permanent home. Of course, apologists of the Nehru-Gandhi family, who have fattened themselves on crumbs from their table, would offer contrived explanations, but the truth is that India has paid dearly for those follies. We are happy that in Modi we have a prime minister who has broken the familiar mould of our tortured on-off talks relations with Pakistan. It does not matter that A B Vajpayee too had settled for talks with Pakistan. The fact that even Vajpayee was betrayed by Pakistan ought to be reason enough for the second BJP prime minister not to go down the same road yet again. As for the argument that India’s decision would weaken Prime Minister Nawaz Sharif vis a vis the Pakistan army, it is not India’s business to prop him up, especially if he lacks the wherewithal to defend himself against his numerous domestic foes. What's the point talking to Pakistan?